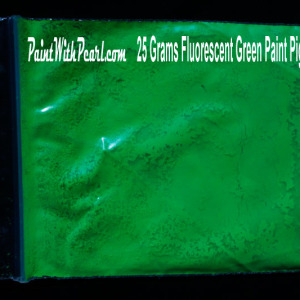 Green Fluorescent Paint Pigment in 25 Gram Bag (treats one quart of spray-able clear). 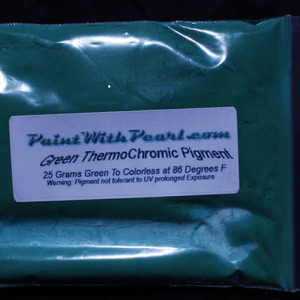 25 Gram Bag of Green Thermochromic Paint Pigment. Changes from Green to colorless instantly at 86 Degrees F.